Sometimes we get really strange questions about what seems to us like perfectly normal behavior. 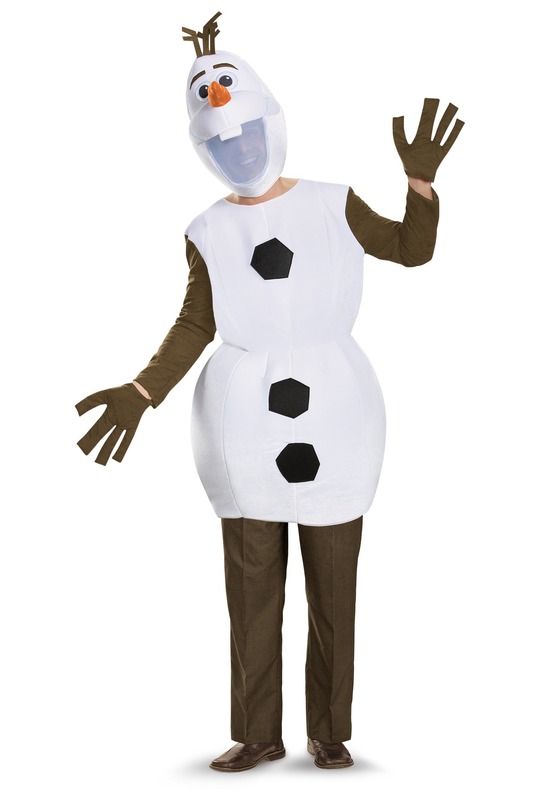 People want to know, for instance, why a bunch of grown-ups would want to dress up as a goofy singing snowman from a Disney animated movie 'for children.' And that makes us wonder if they know how much fun it is to dress up as a goofy snowman when everyone else is wearing a costume based on their favorite Frozen character, and singing along with you! Or maybe the skeptics haven't been to the multiplex lately, because animated movies 'for children' truly offer something for everybody these days. If you're a young woman gaining some perspective on your newfound strength and independence, there's Let It Go. And if you're a sweet, slightly naive snow-person who's grown old before his time, there's In Summer. It made us laugh! It made us cry! If somebody has other ideas about what a musical number should do for an audience, we'd love to hear them. Even if it's just Reindeer Are Better Than People, we're hoping that the naysayers will be pleasantly surprised to find something they can appreciate whenever they finally decide to give the film a chance. Until then, wear your Adult Olaf Costume with pride! Actually, a snowman outfit may not be the most sensible choice for the more temperate months. But keep it handy, because no matter what snow does in the warm season we're sure you'll want to bring this guy back next year!